This is a 4 megapixel IP bullet camera. It offers exceptional value for money while retaining the highest level of quality. Full HD 1080p streaming @ 30 fps or 4 MP 2688 x 1520 @ 20 fps is possible. 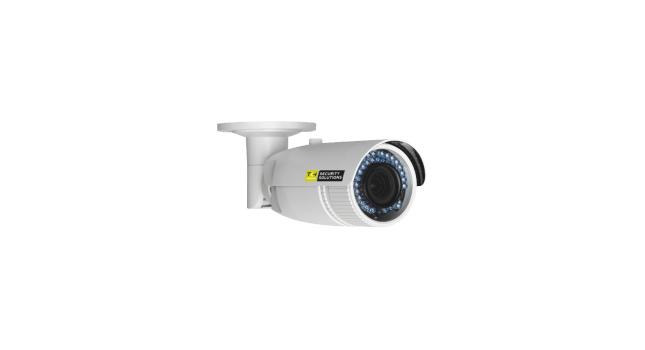 The camera boasts intelligent VCA features such as line crossing, motion, and intrusion detection. Its integrated IR illuminator and its 120 dB wide dynamic range ensure excellent images in every light condition. The motorised lens and robust IP67 construction allow for great flexibility in mounting location.